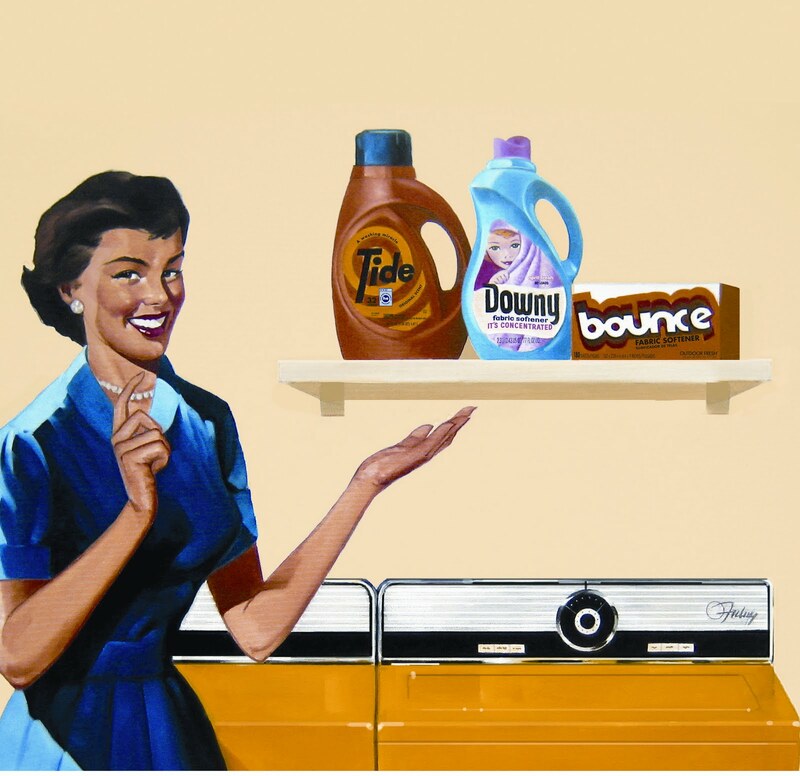 I am so pleased to be partnering with Proctor and Gamble's Future Friendly Campaign to tell you about some great modern products with a cool retro twist! 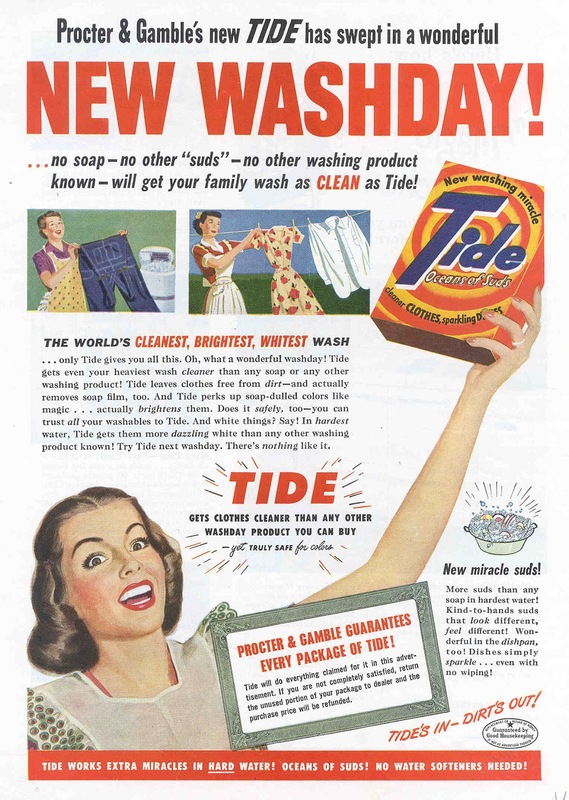 In a bygone era when women wore dresses and high heels to carry their families’ laundry in a wicker basket to their very first automatic washing machine, they turned to Tide for “the cleanest clothes possible.” More than a half-century later, families still turn to Tide, now offered in more than two dozen liquid and powder formulas. 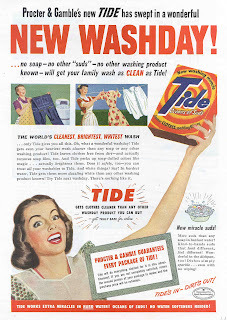 To celebrate its 65th Anniversary, Tide is issuing special-edition packages with the 1947 label. I am personally a huge fan of retro packaging... as a history major whose husband collects old advertising posters, it always makes me smile when I see a retro poster, tin or box! 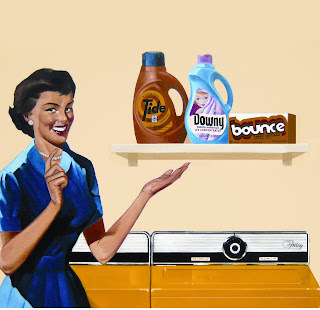 · Detergents, soaps, she tried them all and wasn’t satisifed ... But now his shirts are dazzling clean! Smart girl ... she turned to Tide! 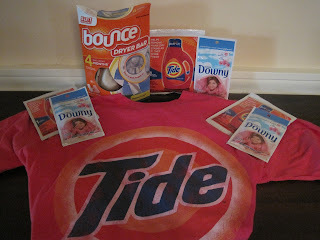 As part of this promotion, Proctor and Gamble is giving away prize packages containing: a “Retro” t-shirt, samples of Tide and Downy and a full size Bounce Dryer Bar to two lucky Acting Balanced readers (US only - and color may vary on the shirt). Disclaimer: I received a sample of this prize package in exchange for writing this post. All opinions are my own. All graphics were provided by the sponsor.